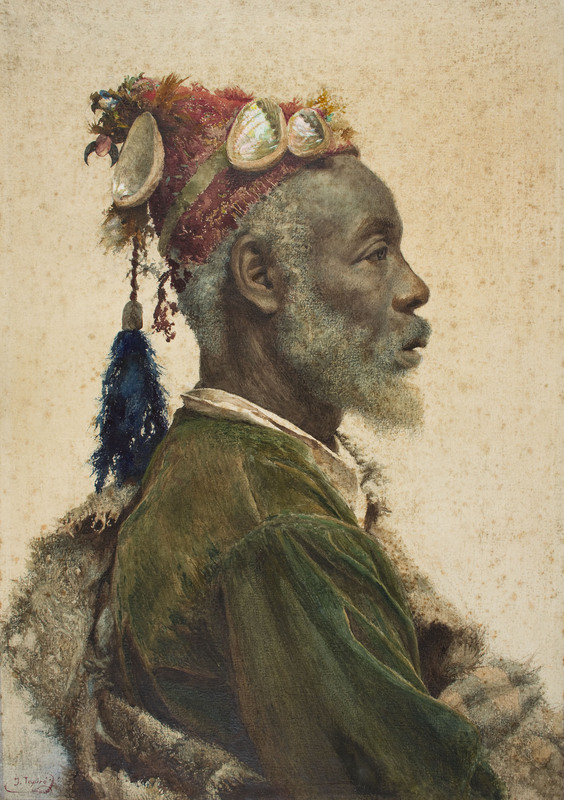 Under the lengthy title The Moorish Monk Darcaguy, a Fanatic from Marrakech and Active and Influential Advocate of the Holy War, Tapiró first exhibited this magnificent watercolour at the Círculo de Bellas Artes de Madrid Biennial in the autumn of 1907. The Darcawa opposed colonisation and some, as a token of resistance, advocated war against the Infidel. 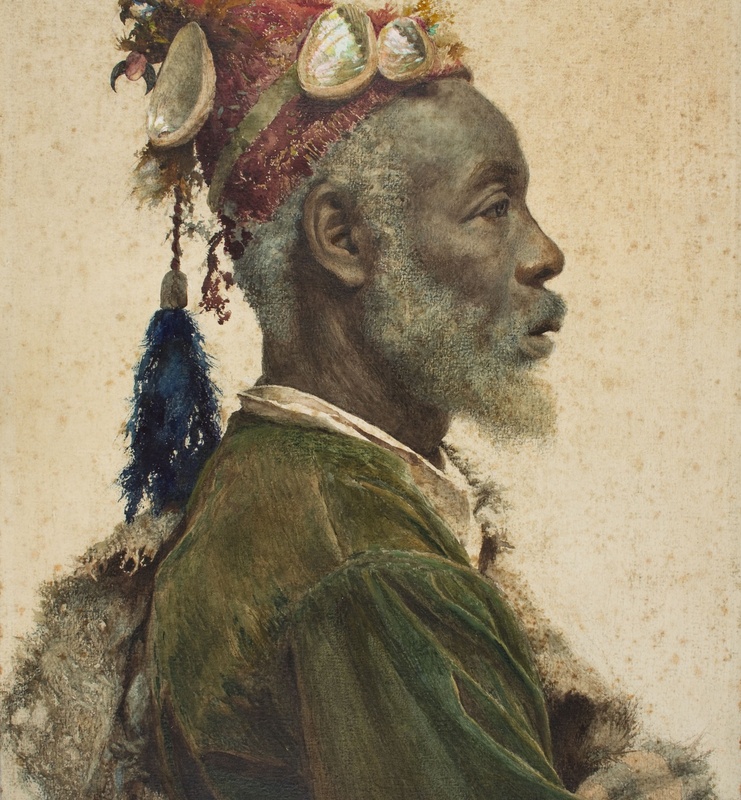 Indeed, this work was exhibited shortly after a series of attacks against Europeans, some with fatal consequences, had taken place in Marrakech and were widely reported in the international press.